SANI-TRED® is the only indoor waterproofing system that completely seals any basement permanently, no matter how wet or deteriorated. SANI-TRED® adds permanent value increase to any home with its lifetime warranty. Indoor air pollution is a silent killer caused by radon, mold, and more. 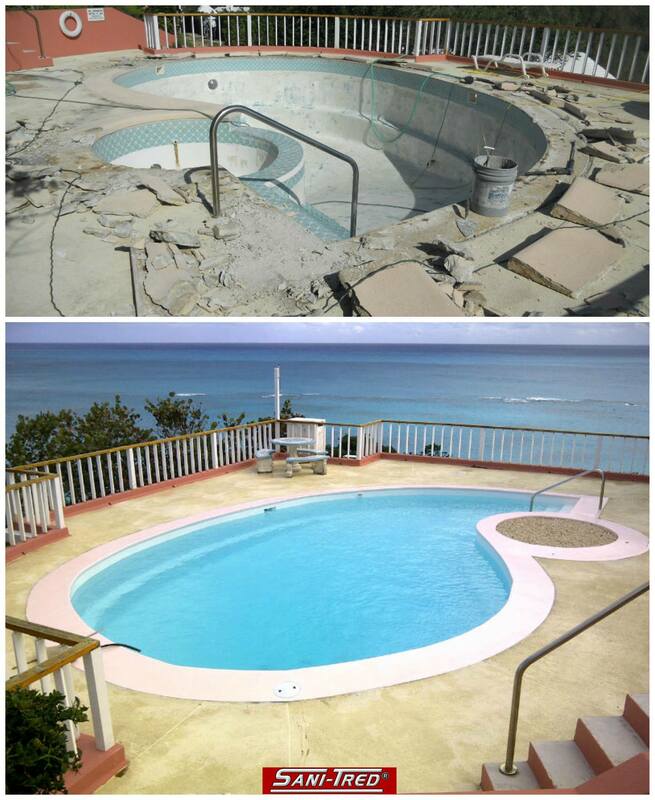 Resurfacing a 45 year old pool in Bermuda with Sani-tred. Buying a home is a huge decision watch out for certain indicators to look for that may be clues that there is dampness in a basement. A basement waterproofing paint would be ideal only if it did what it was advertised to do – right? Getting the product to . . .
60% of US homes have wet basements at one time or another. Soil grading can be a factor in preventing leaky basements.